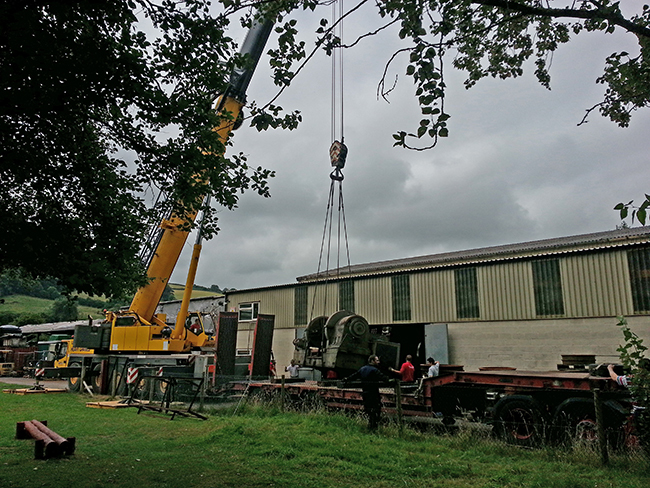 On Thursday 17th July 2014 South Devon Railway Engineering took delivery of a “new” wheel lathe. The lathe is actually older than the computer controlled one originally in the workshop but is in mechanically better condition and has the earlier generation hydraulic copying attachement. Being simpler and mechanical this type of profile attachment is more suited to our lower volume work and will be easier to maintain. 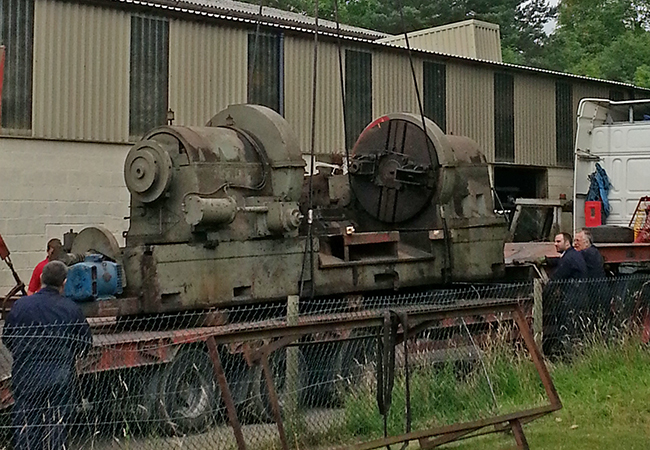 The lathe was saved by the Severn Valley Railway Carriage and Wagon department from the former Gloucester Railway Carriage and Wagon works in Gloucester and has recently been generously donated to the South Devon Railway. 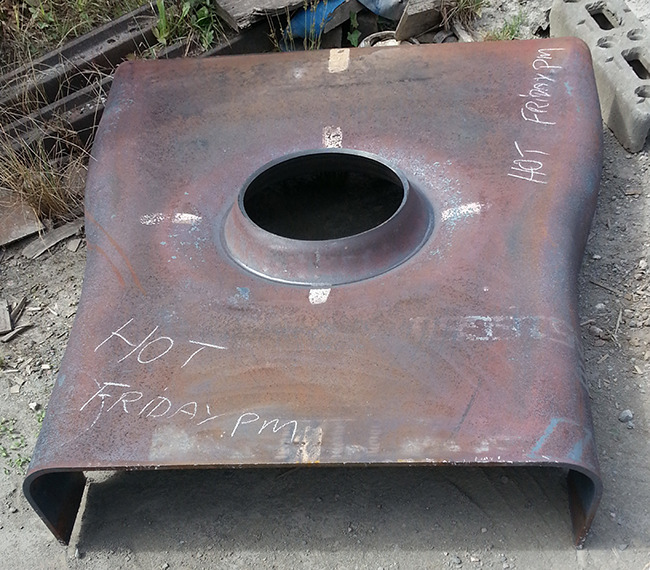 On what was the hottest day so far, Friday 18th July 2014, the boiler shop pressed out two new GWR Standard NO 1 boiler backheads; one of which is for our very own GWR 4-6-0 4920 “Dumbleton Hall”.